Stephen B. Clark has been a prominent leader in Christian renewal movements and ecumenism for over 50 years. He studied philosophy and history at the Universities of Yale, Freiburg, and Notre Dame. He is the author of numerous books, including Man and Woman in Christ, Building Christian Communities, and The Old Testament in the Light of the New. 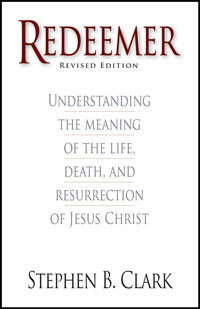 Redeemer provides a masterful overview of the meaning of Christ's redeeming work. It will help you understand not only the redemption, but live anew in Christ, your Redeemer.